Coastal Heritage Tour to Chennai, Mahabalipuram and Pondicherry is a package of art, architecture, Asia's longest beach and Pondicherry a French influenced city. The Tour is best suitable for those who has short time of visit in hand and want to experience a lot with variance. Chennai is well connected city with International flights and is among one of Metro cities of India, Krishna Butter ball in Mahabalipuram is a question of wonder to modern science and finally beautiful Pondicherry will adds on the beauty in your Tour. At Chennai Airport, you will be welcomed by representative of Plan Our Travel's. After warm welcome and interaction with tour representative, you will transfer to the hotel and check-in. After morning breakfast, get ready for Chennai Sightseeing. 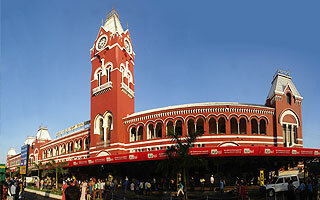 Chennai is one of the most entertaining destinations in India. Indian state is located in the southern region. Various attractive locations are scattered in several parts of the state. Each and every site is well-developed and designed to deliver exceptional experience of holiday to its visitors. Eye-catching destinations include Guindy Snake Park, St. Mary's Church, Tamil Nadu Science & Technology Centre and Kapaliswara Temple. In the city, structural buildings are built with amazing designs and sculptures. After morning breakfast, get ready to check-out from the hotel. 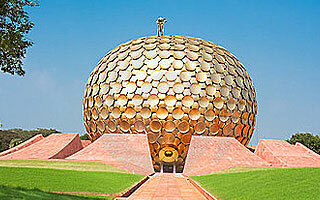 Your Chennai tour will continue towards the city of Pondicherry which one of the loveliest destination in south India. En-route you will visit MGM DIZZEE PARK. It is the best amusement park to spend happy hours in the state of Chennai. Again after visit, drive towards the Mamallapuram – World Heritage Site. After morning breakfast, get ready for Pondicherry sightseeing. Pondicherry is such a destination where common vacationers as well as newlywed couples can enjoy romantic time lavishly. Famous attractive destinations where you can rejuvenate your mind, body and soul in Pondicherry are Aurbindo Ashram, Manakula Vinyasagar Temple, Botanical garden and Memorial House. Enjoy photo shots and make the moment unforgettable in life. After morning breakfast, ready for check-out from the hotel. Our tour representative will be waiting for you at the hotel lobby and transfer you to the Railway Station or Airport for your onward journey. Wish you a happy vacation in Chennai.